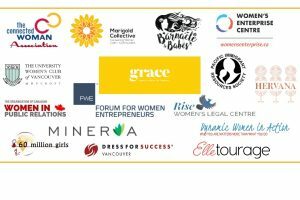 Did you know that Vancouver is home to over 30 amazing women’s groups and female-focused organizations? Join us for our annual Women Working Together (WWT) symposium that celebrates and showcases the many amazing women’s groups and organizations that our city has to offer. This year we’re celebrating the brilliant women in our community who are rolling up their sleeves and taking action to push for progress and create meaningful change including Judi Lewinson, Mandalena Lewis, Noor Fadel, and Sharon Brass. To help us celebrate local changemakers we’ve also teamed up with Grace Club to host an inspiring evening of storytelling that is sure to empower and connect our diverse feminist community. A symposium for social impact, all proceeds from this event support the UWCV Trust Fund for Education which empowers women to further their studies give back to our community. Mark your calendars, grab a ticket, and get ready for another incredible and inspiring evening at Hycroft! As Vancouver’s only women’s group symposium, WWT is the perfect place to connect with the many amazing women’s groups and organizations that our city has to offer. Come learn what our amazing community is up to and experience first hand the power that can come from women working together! 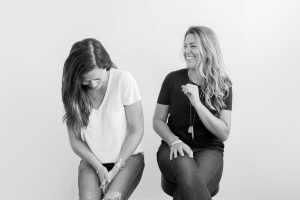 Rooted in authenticity, expression, inclusivity and activism; Grace Club offers a warm community where we can learn from each other, ultimately motivating social change. Using donated spaces, they facilitate events that inspire, empower and connect our women identified* community. Their events include speakers and storytellers, networking and support. After each gathering, we donate partial proceeds to a local initiative benefitting Vancouver’s marginalized communities.